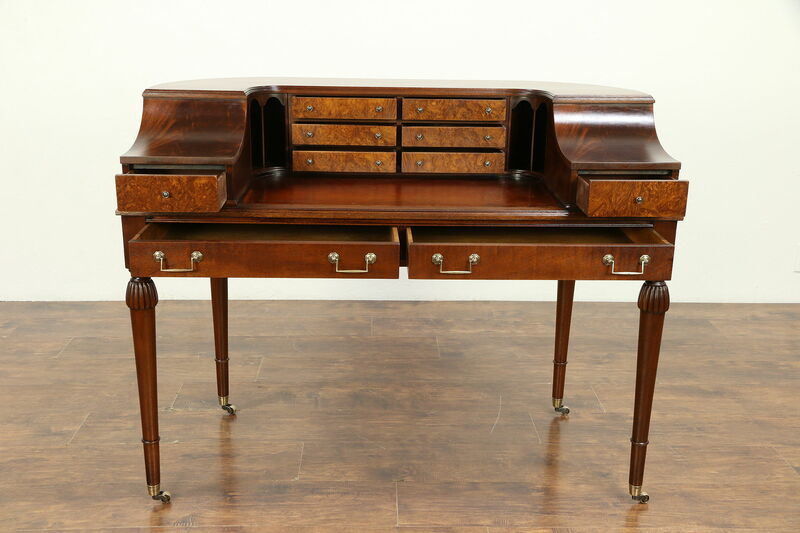 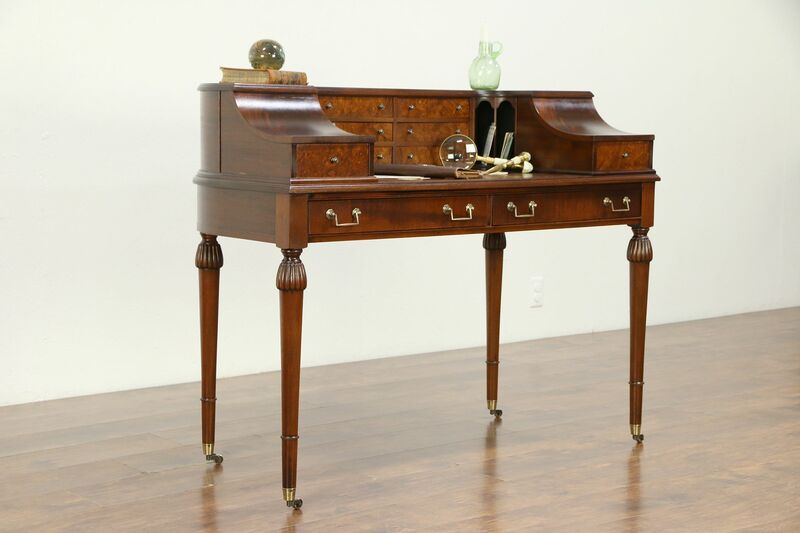 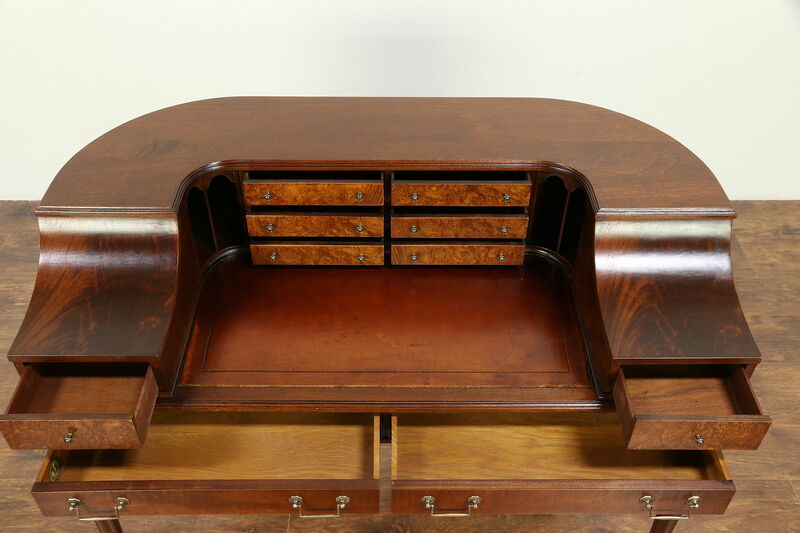 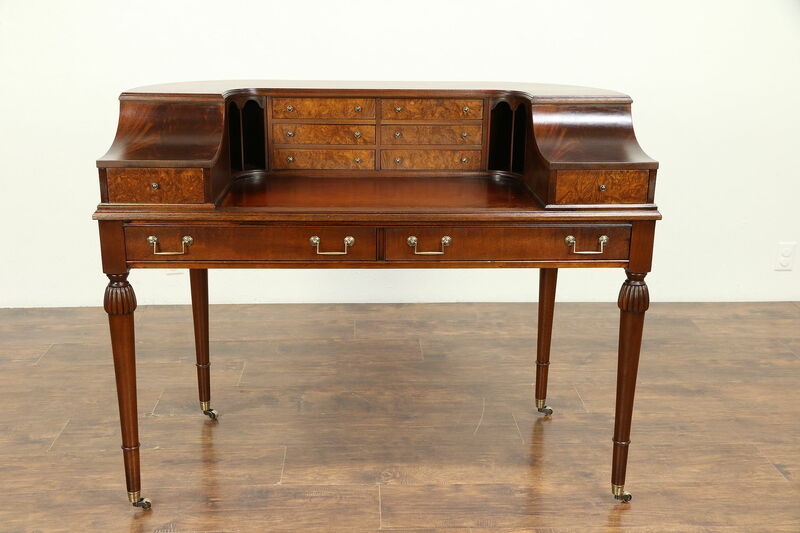 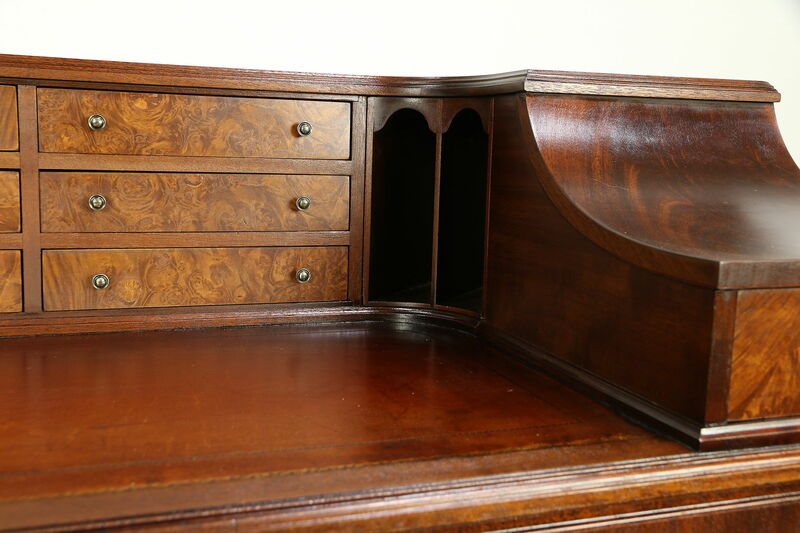 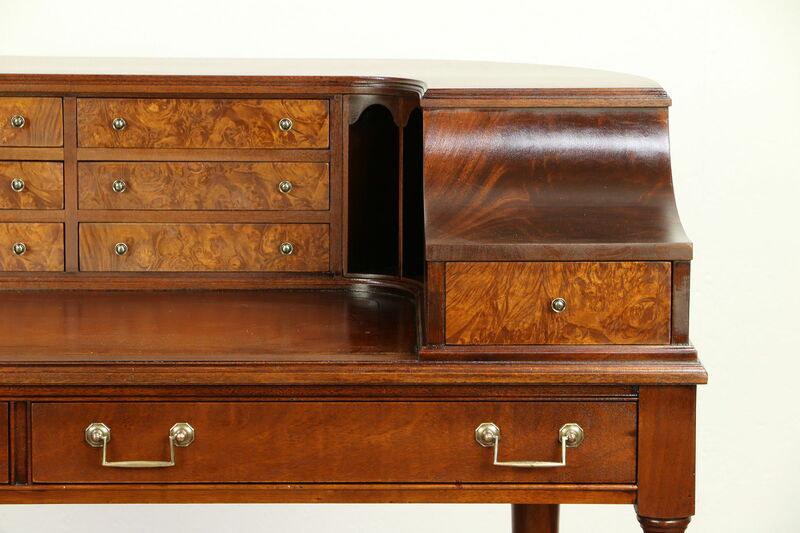 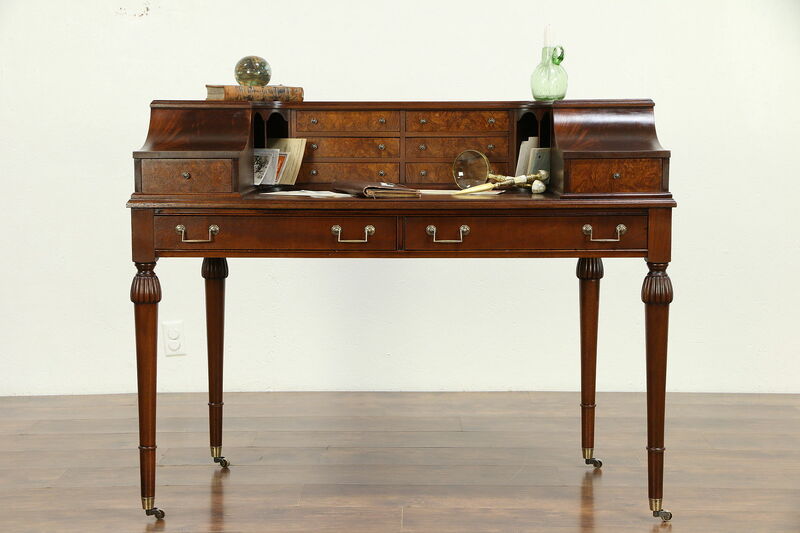 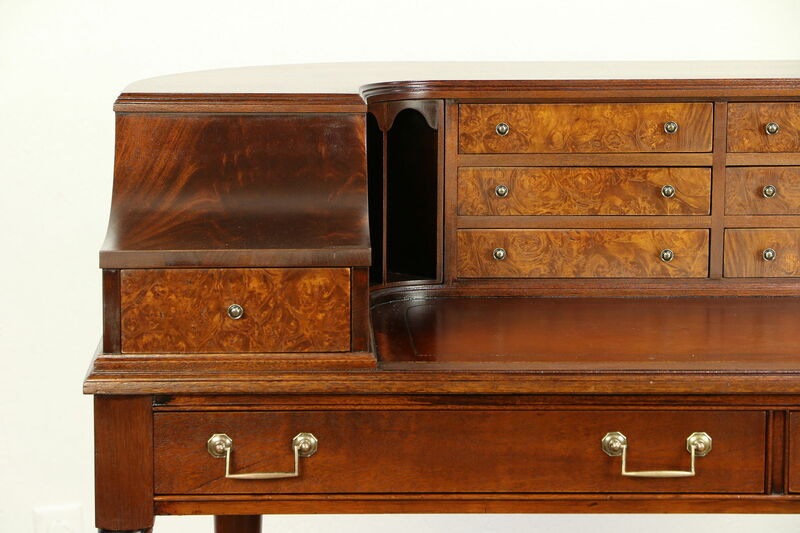 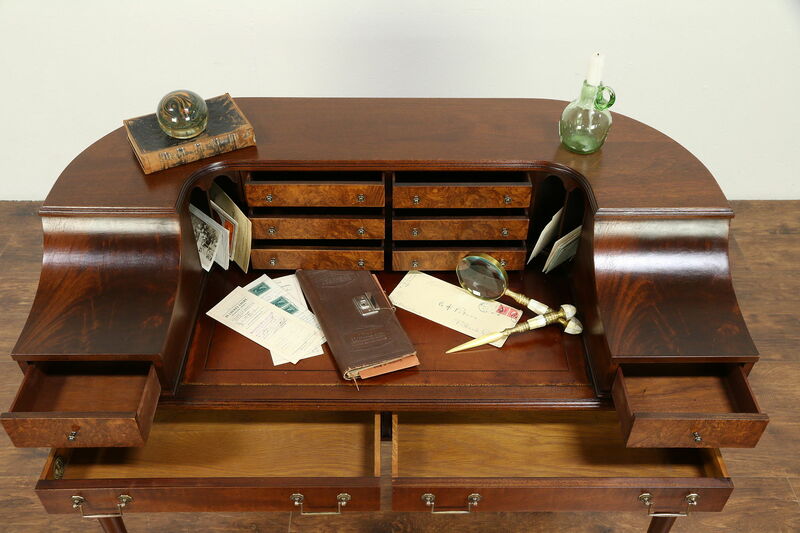 A traditional "Carlton House" desk from about 60 years ago is mahogany with matched flame grain panels in the English manner. 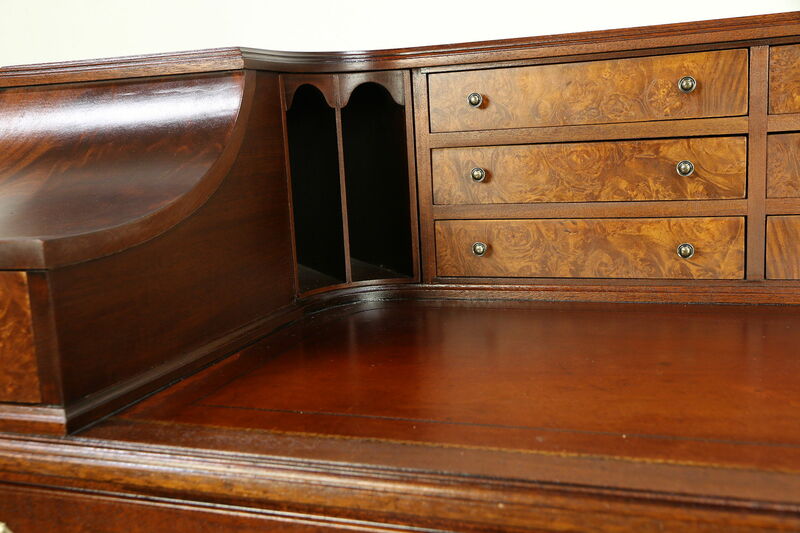 Signed "Colonial of Zeeland, Michigan," tiny drawers and curved doors are authentic. 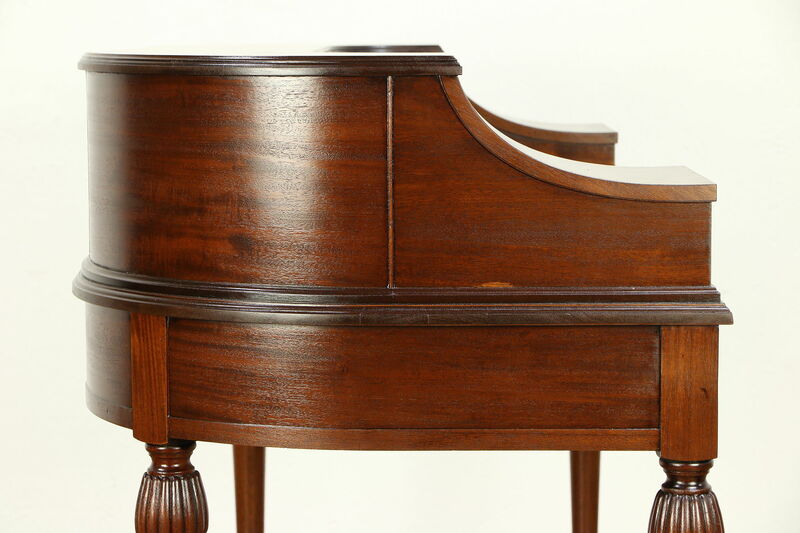 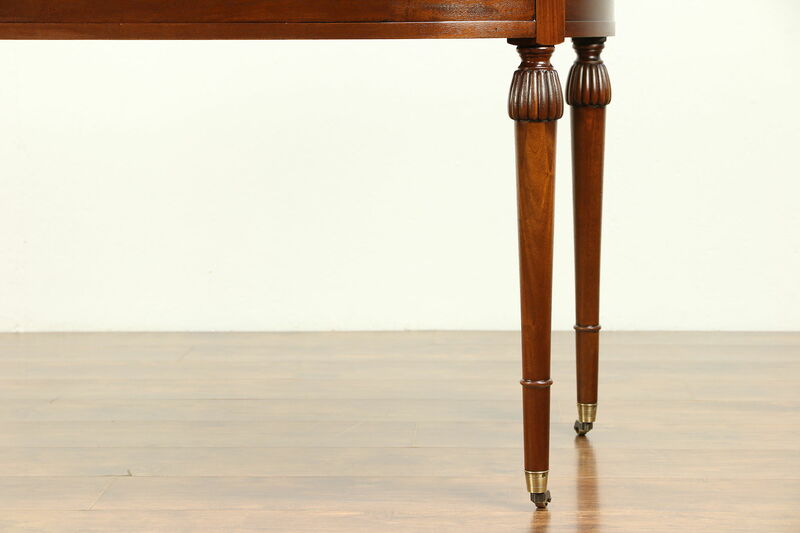 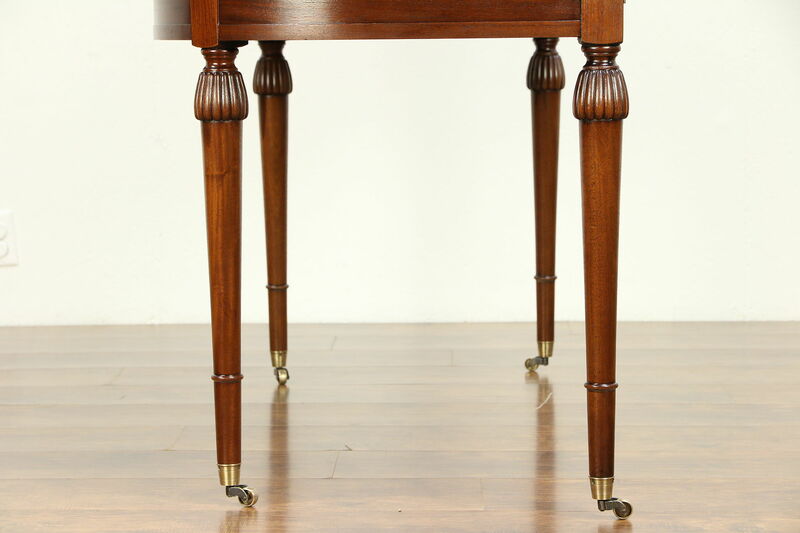 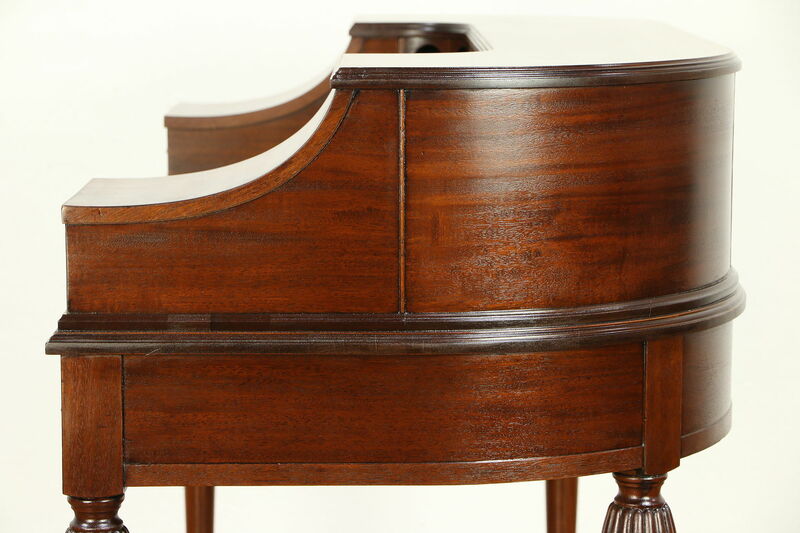 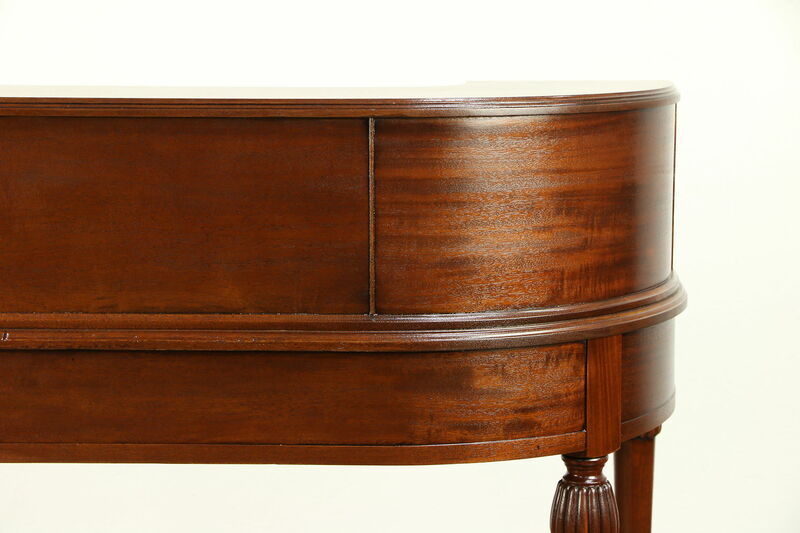 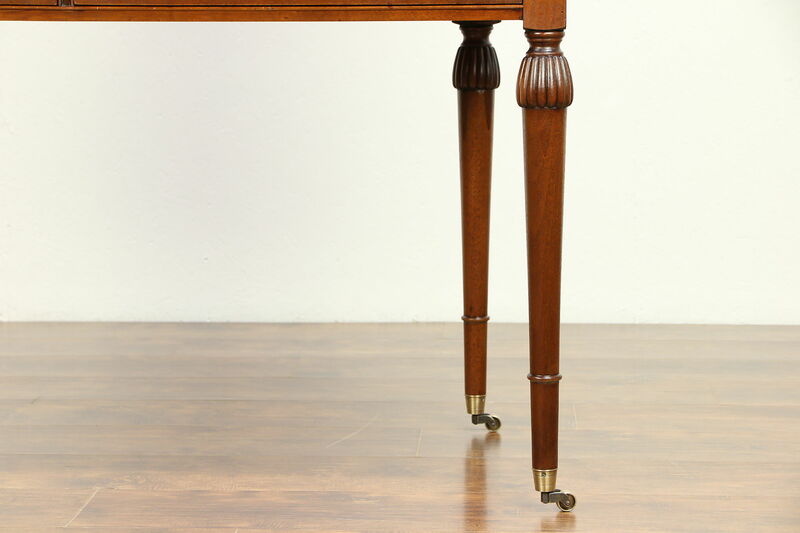 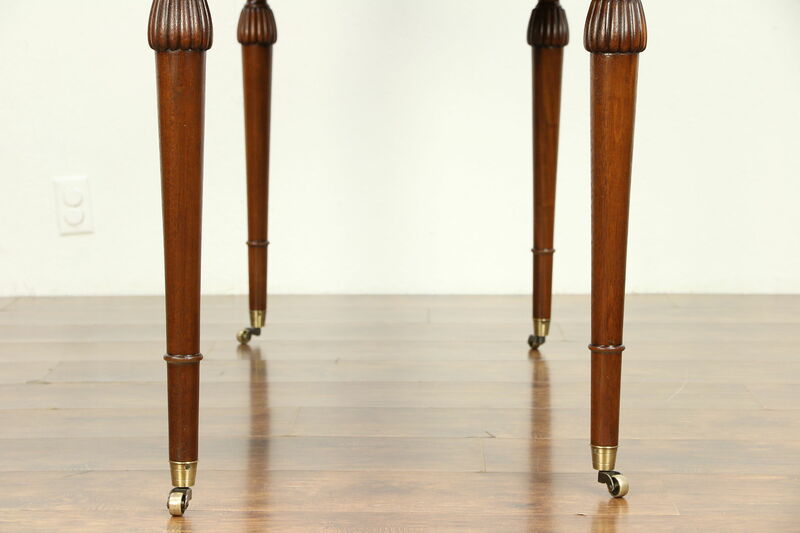 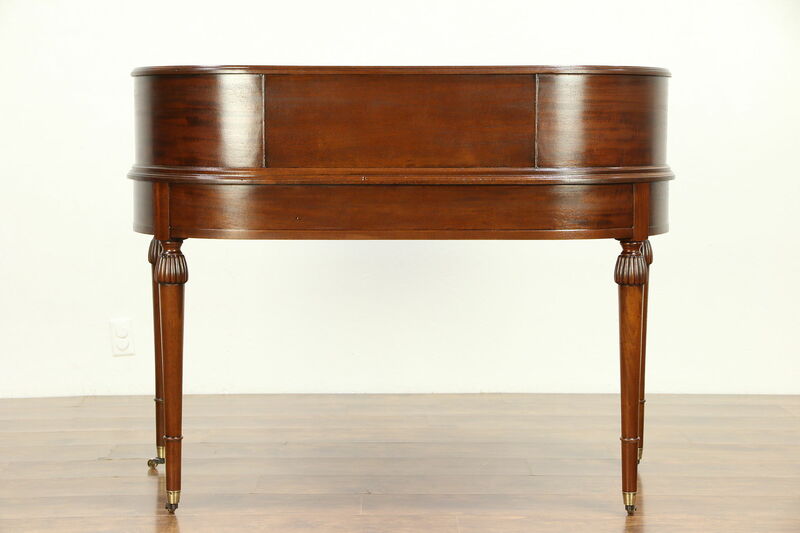 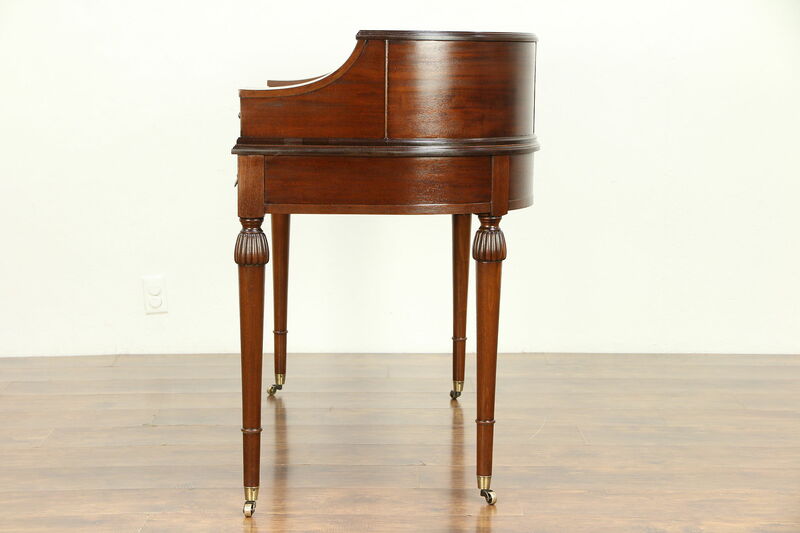 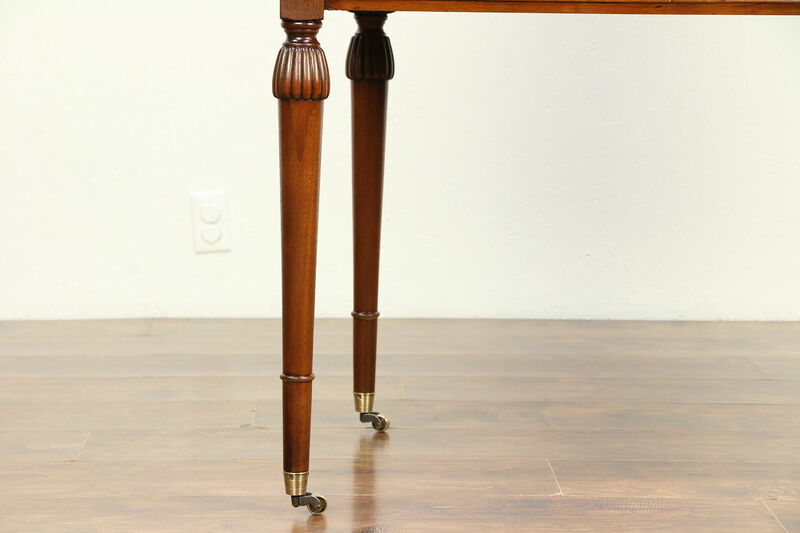 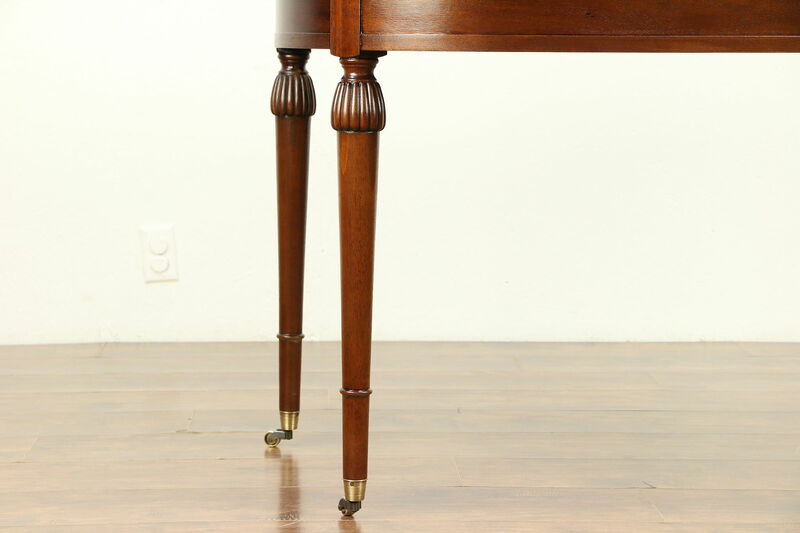 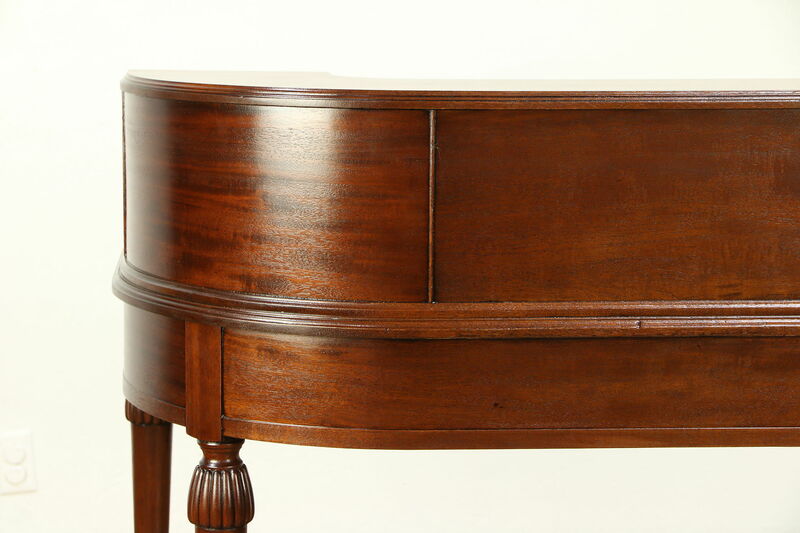 The restored finish is in excellent condition on this American made vintage furniture. 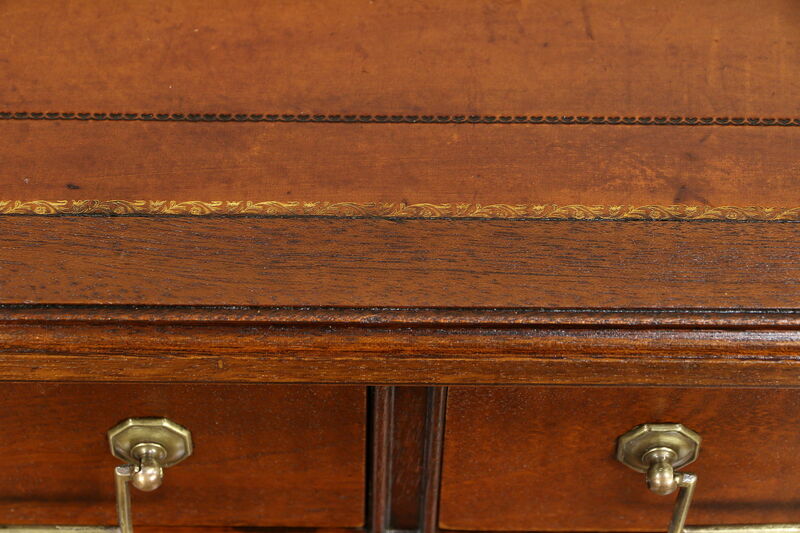 Gold tooled leather has a few mars for a little character, see photos. 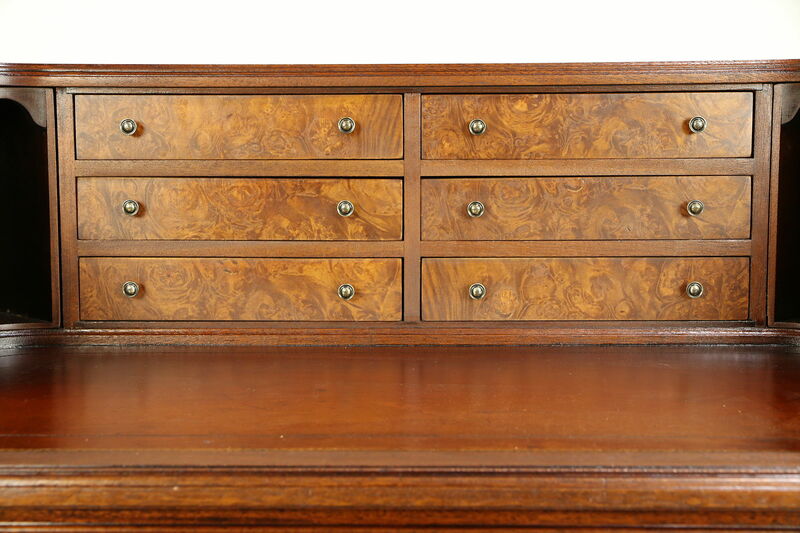 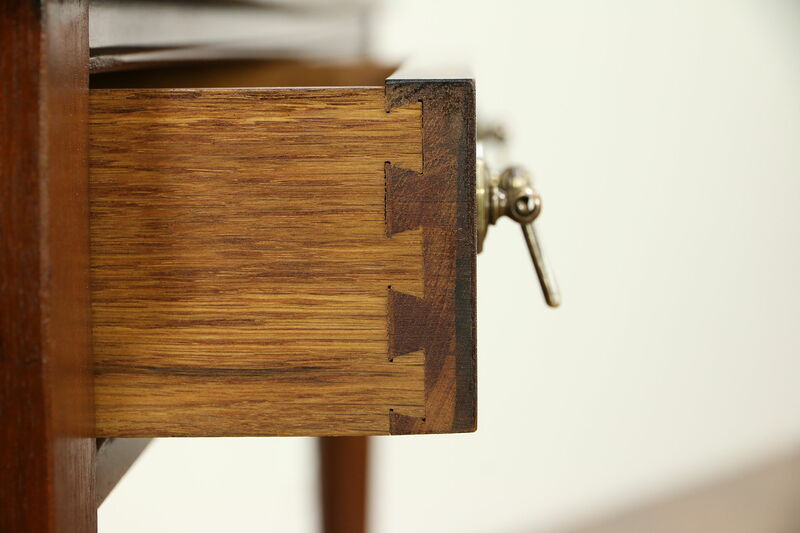 Large drawers have solid oak sides with dovetail joints, tiny drawers have mahogany sides and burl fronts. 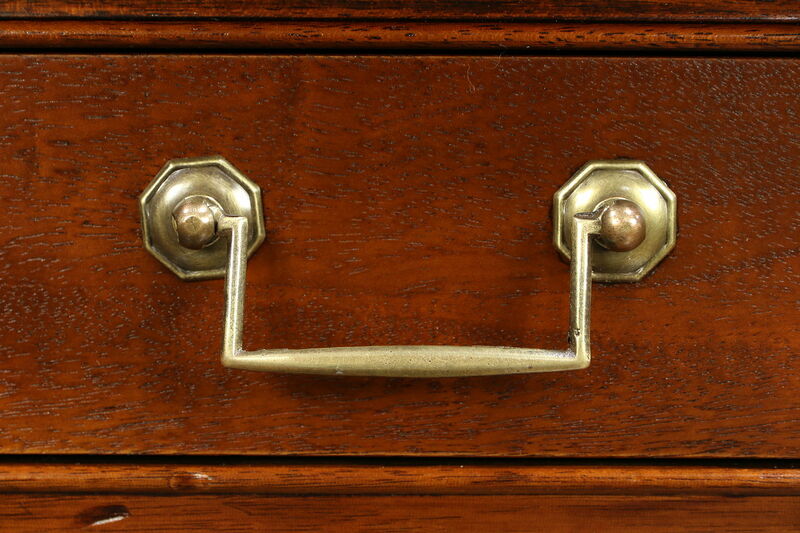 Brass hardware and wheels are original. 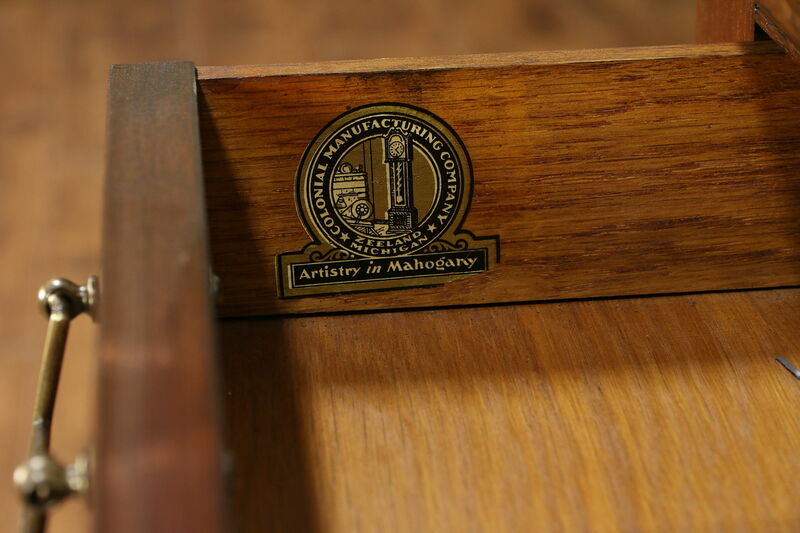 Size is 48" wide, 25" deep, 38" tall and the writing surface is 29" high.